UPND president Hakainde Hichilema has pledged to empower Zambians by creating a conducive economic environment for more jobs, providing greater protection of workers’ rights as well as reforming education. 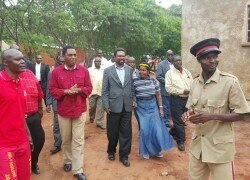 In his Labour Day statement, Mr Hichilema saluted all those who worked tirelessly to make Zambia a great nation and provide for their families. “This is the time to celebrate and give thanks to all those who work tirelessly to make this nation great and provide for their families. As Martin Luther King Jr once said ‘No work is insignificant’. ‘‘All labour that uplifts humanity has dignity and important, and should be undertaken with painstaking excellence,” he said. Mr Hichilema said times were tough at the moment in a situation where many workers were not receiving sufficient reward for their labour, saying there was need to tackle youth unemployment head-on so that the whole generation of the workforce was not lost. “As many of you will know, I personally hold the values of hard work and dedication very close to my heart. That is the widely shared vision in our party, UPND. It is only through these that true success is possible and we can bring poverty and inequality to an end in our country,” he said. Mr Hichilema said his party wished to provide the right environment for entrepreneurs to flourish by providing access to credit, sponsoring training initiatives and cutting back red tape for those wishing to start business. “Today, we thank all those that work hard to provide us with our food, water, power, roads, healthcare and education and so much more, and we should also recognize that we deserve better and we can do better with the right government and the right leadership,” he said.